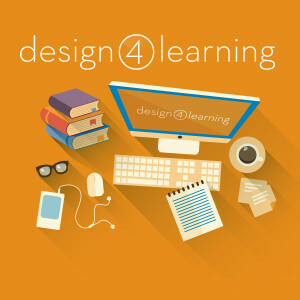 D4L provides a series of free online modules for library workers to learn how to design instruction and teach online. The program’s modules lead toward a final Capstone project. Here’s how to sign up! Follow the steps you’ll see on the right to sign up for an account. 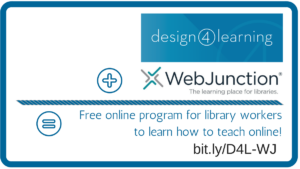 (If you’ve taken WebJunction classes before, you can just log in on the left). 7. Whenever you start a new module, first click where it says Getting Started (with a green book icon) for more instructions about that module. 8. Learn and have fun!